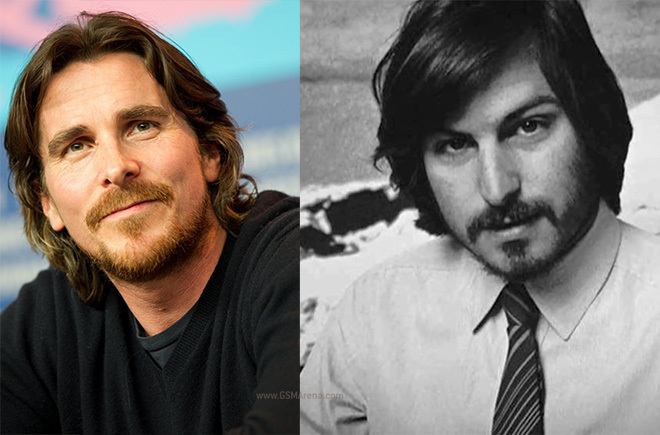 According to a report by The Wrap, Oscar-winning actor Christian Bale is being considered to play the role of the late Apple CEO and co-founder Steve Jobs in an upcoming biopic. The screenplay of the movie is written by Aaron Sorkin for Sony Pictures Entertainment and is based on the book ‘Steve Jobs’ by Walter Isaacson and will be directed by David Fincher. Sorkin and Fincher have previously worked together on the biopic on Mark Zuckerberg’s life – The Social Network. Fincher has made it clear that he will only work on the movie if Bale accepts the role. Meanwhile, the actor is yet to be approached for the role, who is currently taking a vacation with family after completing his role of Moses in Ridley Scott’s Exodus. The movie is said to be written as three 30 minute long scenes, covering major events in Jobs’ life, including the launch of the Mac, his tenure at NeXT after he was asked to leave Apple and the launch of the iPod. The previous biopic on Jobs’ life – Jobs – starring Ashton Kutcher in the title role, received a lukewarm response from critics and audience alike. Hopefully with better people working on the new movie, it will actually be worth our time and money.